Here are some emotional words/vocab lists that I’ve picked up from a couple of friends. Many thanks to Mary and Wendy! 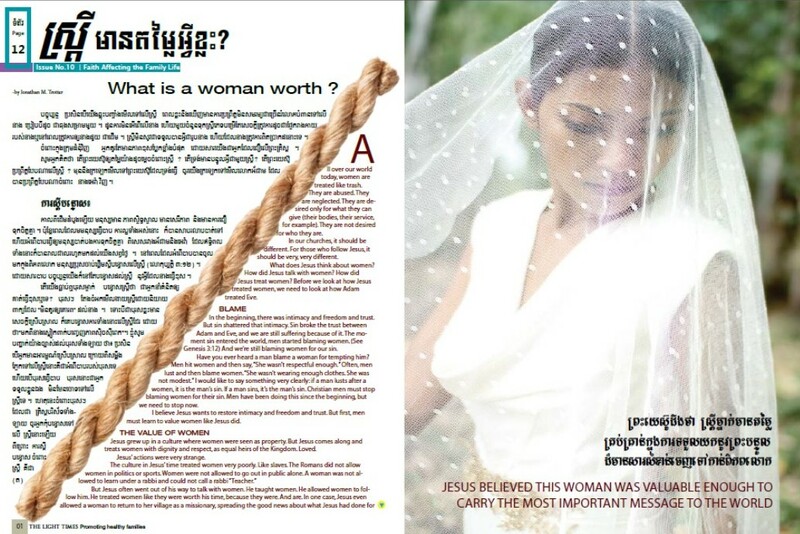 Here’s an additional resource in Khmer: What is a Woman Worth? And here’s a master list (with video) about Church Planting Movements and Inner Healing. Last Sunday I had the privilege of preaching at the ICF here in Phnom Penh, Cambodia. To listen to the message, click here, or view on iTunes. We looked at how Jesus allowed his emotions to be influenced (by a woman! ), we talked about platitudes and why to NEVER use them, and we considered the different ways Jesus empathized with Mary and Martha. He mirrored each woman and responded very uniquely, in fact. We also talked about the one thing we must remember for this story to make sense: I am NOT the center of Christ’s universe. The Father is. Christ’s love for me is secondary and derivative. His primary goal is NOT to relieve my suffering or heal my disease. Recorded at ICF in Phnom Penh, Cambodia, July 2017. To listen to the message, Click Here or visit the trotters41 podcast on iTunes. How we think about death massively impacts how we live our life. Part of learning how to live like Christ is thinking about death like Christ. A funeral doesn’t stay a funeral for very long when Jesus shows up. From the beginning, Satan has always lied about death. He still does. When the Resurrection and the Life shows up at a funeral, death dies and corpses rise. All over our world today, women are treated like trash. They are abused. They are neglected. They are desired only for what they can give (their bodies, their service, for example). They are not desired for who they are. In our churches, it should be different. For those who follow Jesus, it should be very, very different. What does Jesus think about women? How did Jesus talk with women? How did Jesus treat women? Before we look at how Jesus treated women, we need to look at how Adam treated Eve. In the beginning, there was intimacy and freedom and trust. But sin shattered that intimacy. Sin broke the trust between Adam and Eve, and we are still suffering because of it. The moment sin entered the world, men started blaming women. (See Genesis 3:12) And we’re still blaming women for our sin. Have you ever heard a man blame a woman for tempting him? Men hit women and then say, “She wasn’t respectful enough.” Often, men lust and then blame women. “She wasn’t wearing enough clothes. She was not modest.” I would like to say something very clearly: if a man lusts after a women, it is the man’s sin. If a man sins, it’s the man’s sin. Christian men must stop blaming women for their sin. Men have been doing this since the beginning, but we need to stop now. I believe Jesus wants to restore intimacy and freedom and trust. 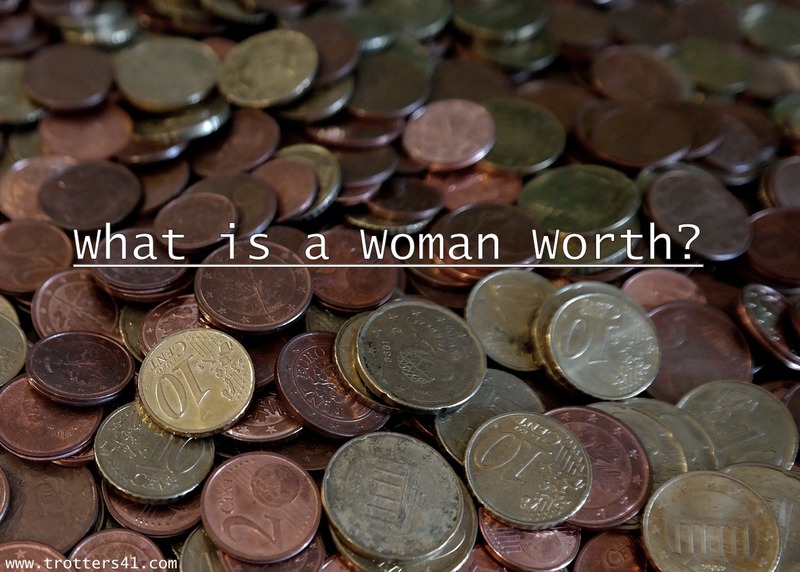 But first, men must learn to value women like Jesus did. Jesus grew up in a culture where women were seen as property. But Jesus comes along and treats women with dignity and respect, as equal heirs of the Kingdom. Loved. Jesus’ actions were very strange. There is one more story that we must talk about. In John 8, a very vulnerable woman is in front of very powerful men. And Jesus stands in between. Because that’s where he always stands. Jesus always positions himself between religious men and hurting women. When the men want to throw stones, Jesus stands there, protecting, wanting to heal hearts. We must follow his example. I made you on purpose, and I love you. If you have been hurt or abused, I am so sorry. If you feel shame, remember that I came to erase shame. When I see you, I do not see shame. I see the girl I Iove, the girl I died for. My daughters are shameless and blameless. It is my hope and prayer that the Church in Cambodia would be a place where all people are respected and loved and cherished. Old and young. Rich and poor. Men and women. Team Expansion just published their yearly magazine called TELL. If you’re already on our mailing list, you’ll probably get a hard copy in the mail soon. If you’re not on our mailing list (why not?! ), you can still view the awesomeness at www.teamexpansion.org/tell.